A successful personal injury lawyer needs to know how the law, insurers, investigators and courtrooms work. He or she must be dedicated, diligent, determined to achieve justice and, above all, compassionate toward the life-altering burdens that accident victims live with every day. 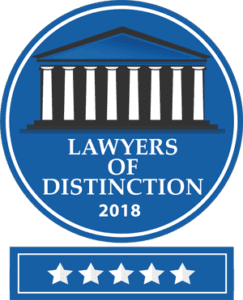 Brian S. Mackenzie, founder of MacKenzie Law Firm, employs all of those qualities and credentials, and more, while serving his injured clients every day. For more than 20 years, Brian has won millions of dollars in money damages for persons seriously injured by negligent motorists, and families mourning relatives' wrongful deaths caused in accidents. MacKenzie Law Firm is respected throughout greater Denver for its proven ability to identify a careless driver's role in an avoidable accident, negotiate with his or her insurer, and present persuasive injury claims cases before judges and juries if necessary. Were you hit by a truck, semitractor-trailer, 18-wheeler or big rig while driving your car or riding a bicycle, resulting in catastrophic injuries? Were you operating a company-owned vehicle when your motor vehicle accident happened? Are you, a loved one or your entire Colorado family struggling with the cost of long-term specialized medical care and therapy? Have you been declared permanently disabled and unemployable, and dependent on compensation from your car accident? If the answer to any of those questions is yes, the stakes for you could not be higher. This makes selection of your personal injury attorney so important. MacKenzie Law Firm in Denver is ready to help throughout the legal process, beginning with your free initial consultation. If your condition has confined you to your home or a hospital room, we can interview you there. Just call 720-316-0224 or stay at this website to send a message. Our contingency fee policy frees you of responsibility for legal fees unless we win your case. Hablamos español.